Proper endurance training can give you an edge in the ring. Endurance is a critical part of training in any fighting art. Getting in the ring with an opponent is challenging enough without having to worry about running out of wind or becoming so tired you can't raise your arms to protect yourself. But with dedication and proper training, you will increase your endurance, enabling you to perform at your best. To determine whether you’re actually improving your endurance, you should know your target training zone. You can calculate your maximum heart rate by subtracting your age from 220. Your training zone should be between 70 and 80 percent of this number. When exercising at a high enough intensity to reach this level, you’re improving your cardiovascular and respiratory systems, and increasing your endurance as a result. One of the best ways to train for sparring is to exercise using the movements you will be using during sparring. Sport-specific exercises help work the specific muscle groups you will use in a sparring match; developing not only cardiovascular endurance but also muscular endurance in the areas you will need it. For boxers, this may include working the heavy bag, while for martial artists, this may include katas, or forms, to improve their endurance. 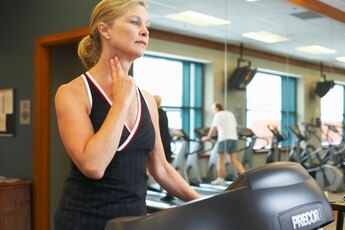 Be sure that you’re working within your target heart rate training zone during these exercises. Exercises such as jumping rope, swimming and running are effective ways to increase your endurance in the ring. Depending on the type of sparring you will do, you should tailor your endurance training to improve your performance. For example, a boxer planning on a 12-round fight will train differently than a martial artist seeking to excel for three rounds. 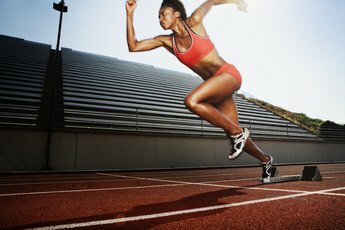 Your endurance training should be designed for your specific goals. It may seem counter-intuitive, but training your muscles to be able to endure a sparring match is as important as training your heart and lungs. 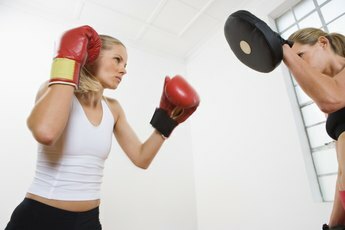 For people competing in fighting arts such as martial arts or boxing, muscular endurance can be critical, allowing you to carry out a powerful technique after a high-intensity fight. Muscular endurance can also allow you to keep your arms up when you are really tired, allowing you to defend as well as attack. Sparring at half speed or using a light weight when performing sport-specific exercises can increase your muscular strength and endurance.